We reached to Lake Geneva by 11:30 pm and the street were flooded with people. We went to Egg harbor cafe first and luckily got a parking spot near the cafe. There was waiting for 15 mins but the food was worth waiting. I love the decor of the cafe, Liked its iced tea as well. After brunch, we head to the Riviera beach. This is the only accessible beach in Lake Geneva. In summer, they charge admission fees for above 6-year-olds, but lake freezes in winter, so no admission fees. People were just getting to the beach and walking on frozen lake. However, in summer there are some rules which you have to keep in mind. They don’t allow Glass containers, Alcohol, drugs, smoking, pets, and weapons. You can take your food and beverages which are in plastic. 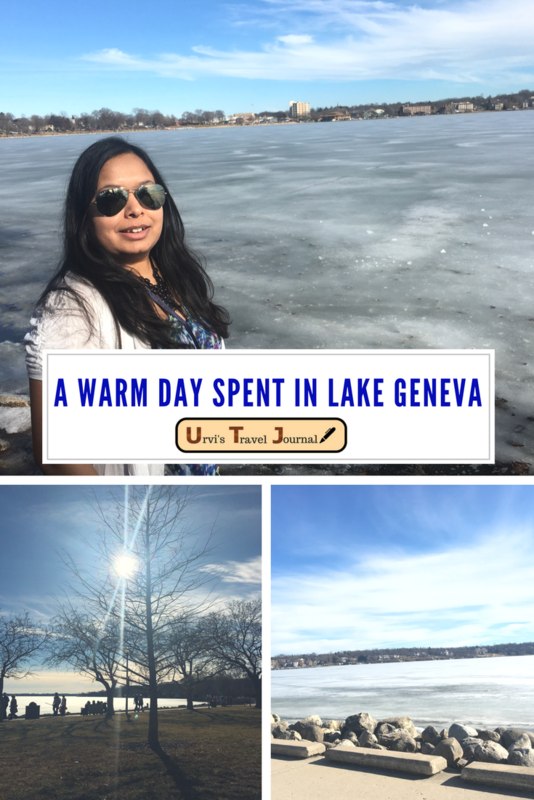 Lake Geneva shore path is an incredible hiking trail. Generally hiking trails surrounded by huge trees but this trail surrounded by beautiful beach front houses and scenic views. The Whole path is parallel to the lake. This is 21 miles long hiking trail and I haven’t covered the whole trail. we walk hardly few miles but the experience was amazing. I hope I can do the whole trail in summer. Watch out when you are on the trail and don’t enter on someone’s private property. After hiking few miles we came back to Elm Park, which is next to riviera beach. It is great waterfront park for the picnic spot. I lay down on grass and enjoyed the sunshine. Due to winter boat tours were out of service. In summer you can enjoy scenic boat tours and rent your own boat as well. Greetings, I am trying to get together a list of the local establishments in Bolnuevo and the surrounding area, so that we can create a local directory for people visiting Marina de Bolnuevo. If you have any ideas, please submit them to the Marina de Bolnuevo Blog on the website. If you can, please include their email address. Thanks in advance Alicia. Munich is beautiful city, with great beaches! Recommend to visit, Germany has very good condition for that prices.